Totally agree that Soft Suede is a strange color but ends up looking fabulous when you use it! (I think the same about River Rock!) This is beautiful - great vintage look! And I love how you use the flourish from BFF as a branch for the birdcage! 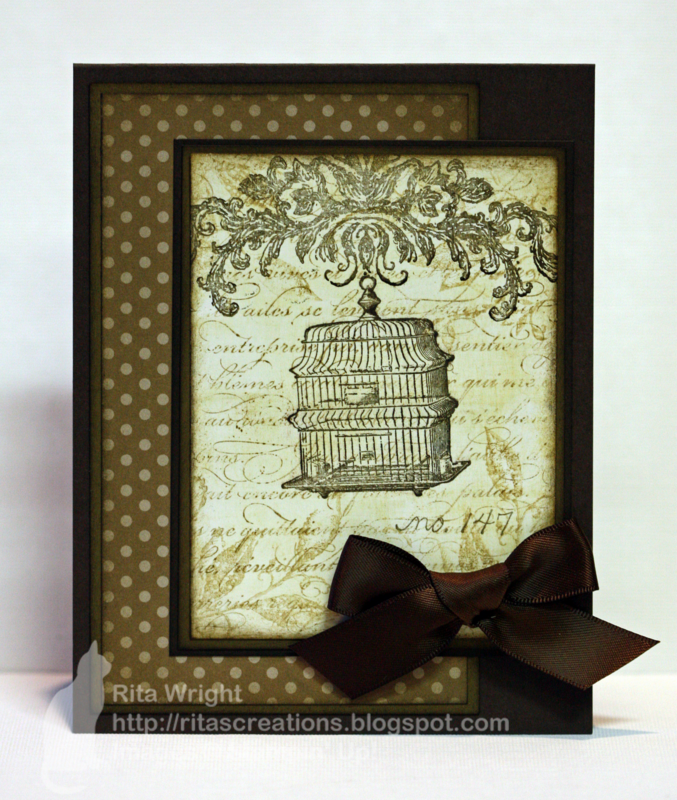 Rita, this is a wonderful distressed card. The birdcage image adds to the vintage look. I hope you learn to like Soft Suede as much as I do. I LOVE it! I love vintage and distressed as well as the sets you've used here, so I think it's fabulous! I agree that Soft Suede is a weird color--sort of browny-green; but it looks wonderful here!